While I serving as Stake Primary Music Director, Primary Music Director, and Ward Choir Director, I wrote my first song, “Ol’ Jack Frost”, in the fall of 1958. As I was doing dishes and thinking about fun songs for October, I thought about Jack Frost. And — I sang, “Ol’ Jack Frost is a funny old man. He paints the leaves red and orange and tan, then he shakes the trees till the leaves fall down on Ol’ Jack Frost. 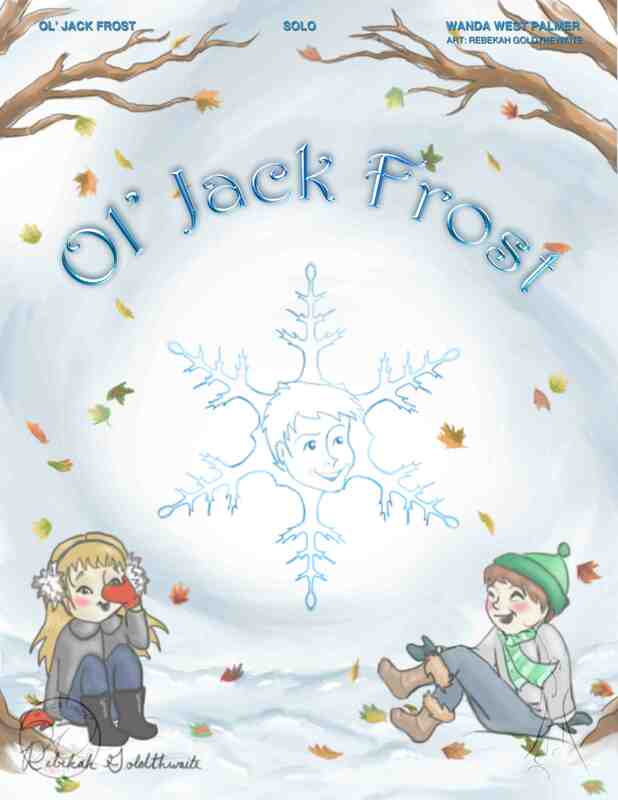 Ole Jack Frost likes to whisper in your ear, but never a word can you ever hear. He tickles your toes and bites at your nose, Ol’ Jack Frost.” Etc… I sang it just as though it had already been written. I was amazed. I called my mother and sang the song to her, and asked her, “Is this a song?” She answered, “Yes, it is a song.” I couldn’t believe that I had actually just sung an original song. I went outside where my four boys were playing on the swing set on the north side of the house. I sang the song to them and their little eyes brightened and they smiled. With a little prompting, they sand the song back with me. I thought, if my little boys liked the song, maybe all the children in the Stake would like it also. Now, how do I write it down! And how do I give all of the Ward Primary Director’s a copy? The Xerox was not yet invented. The only way we had to copy material for the Wards was to use the purple gel (I forget the name). You had to use purple inked copy paper which when rubbed (transposed) onto the gel, then you could make multiple copies by rolling paper across the gel. They didn’t make music paper, so I had to make my own music staff. Then I had to put the notes down on paper. Oh Dear! How was I going to do that? I beat the music out so I would know how many words and notes would be in each measure. I knew where the quarter notes, the half notes and the eighth notes were, but I did not know what side to put the stem on. And should the stem go up or down? I looked at a lot of music and made my choices. If any of you could see my original copy, you would laugh. I don’t know how I dared to do it, but I did. The music staff lines were not evenly spaced. And there were many errors, but the notes were all on the right lines. It was a rough, rough, copy, but the Wards loved it, and the children loved it. The summer’s gone, the skies are grey, the birds and flowr’s have gone away. But I’m not sad, instead I’m glad, Cause Ol’ Jack Frost has come to stay. He paints the leaves red and orange and tan. He’ll do you no harm! He makes you want to shout hurray! Ol’ Jack Frost is here! Ol’ Jack Frost is here!